With more measles cases in the last month than in the entire previous decade, Monroe County health officials are urging parents to take action. WXXI’s Brett Dahlberg reports. Monroe County public health commissioner Michael Mendoza is joined by Dr. Patrick Brophy, left, of the University of Rochester Medical Center, and Dr. Cindy Christy, right, of Rochester Regional Health, at a news conference Tuesday urging parents to vaccinate their children against measles and other diseases. “I’m referring to those who have chosen to accept misinformation, or to adopt so-called ‘philosophical objections,’ instead of accepting well-established scientific evidence, and the overwhelming weight of recommendations from respected health and public health agencies,” Mendoza said. The recent cluster of seven measles cases in Monroe County is contained, health officials said, but the risk is that if current trends continue, more outbreaks are increasingly likely. Mendoza and leaders at two other regional health systems said at a news conference Tuesday that lawmakers need to take a close look at New York state’s allowance of religious or philosophical objections. After an outbreak of measles in early 2015 centered on Disneyland in California, that state removed its “personal belief” vaccine exemption. 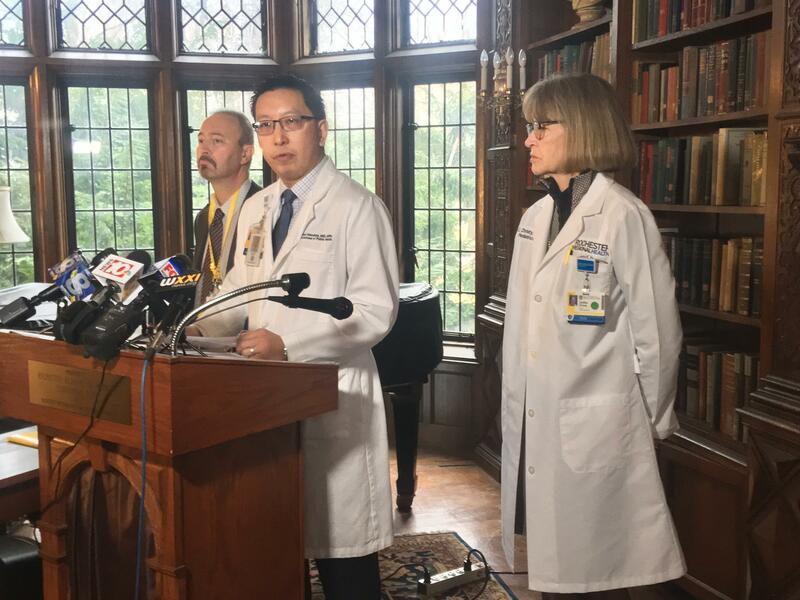 “That really helped” increase vaccination rates, said Dr. Cindy Christy, the associate chair of pediatrics at Rochester Regional Health. The increase in measles cases across the country is “like déjà vu all over again,” Brophy said. The disease was common decades ago, but many doctors practicing today have never seen a case. That means they need to be extra vigilant, so they don’t miss a very contagious virus, said Brophy.